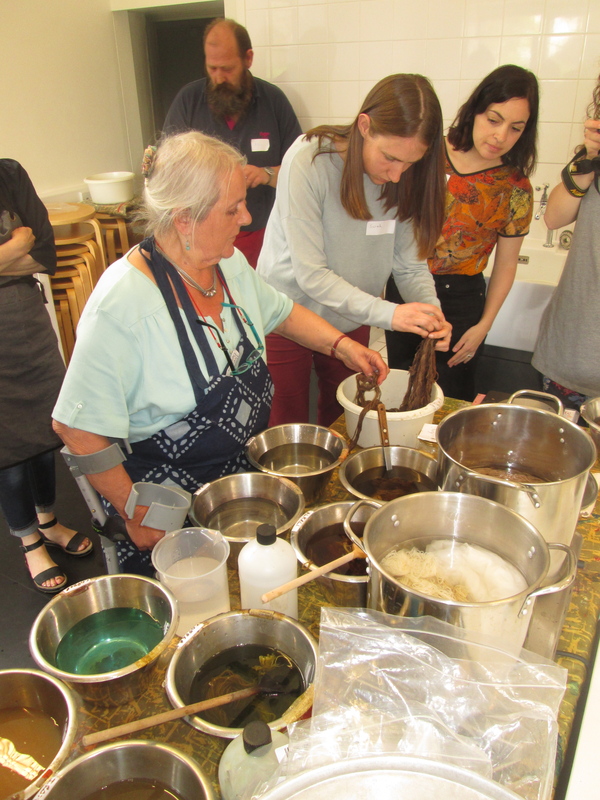 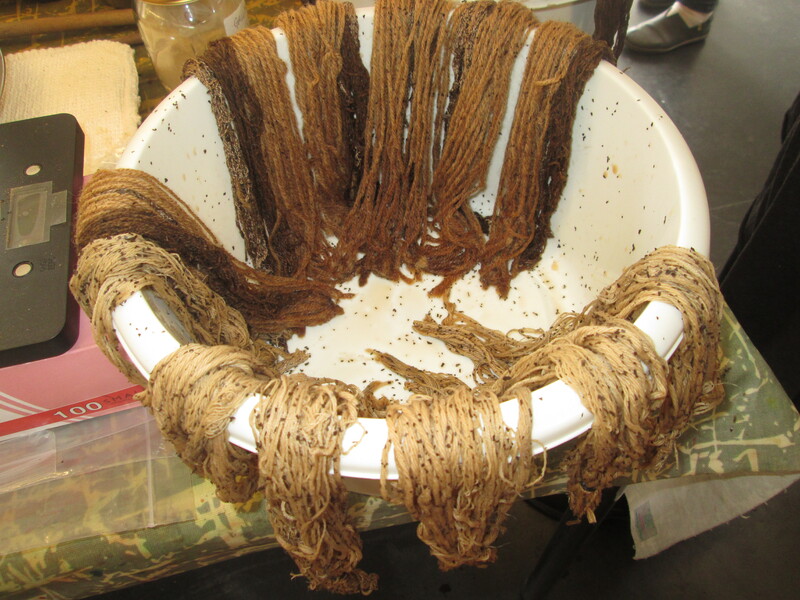 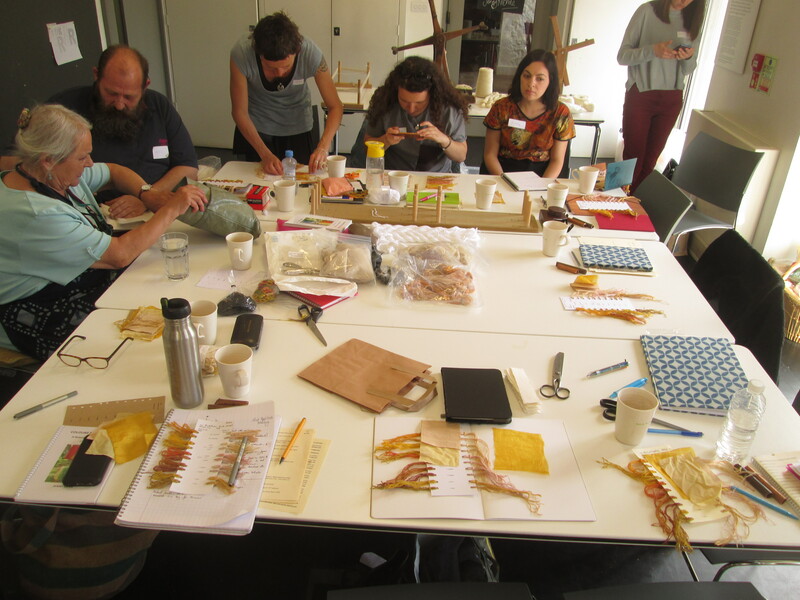 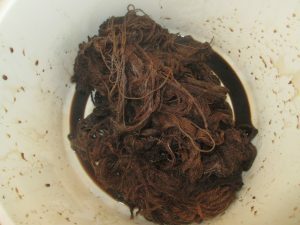 This was the second session at Ditchling Museum with Jenny Dean and today, the dye event was using walnut husks and leaves on a variety of textile materials. 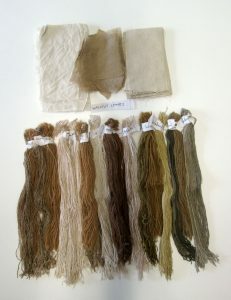 People brought in other things to sample dye and we used the modifiers to produce a wider range of colour. 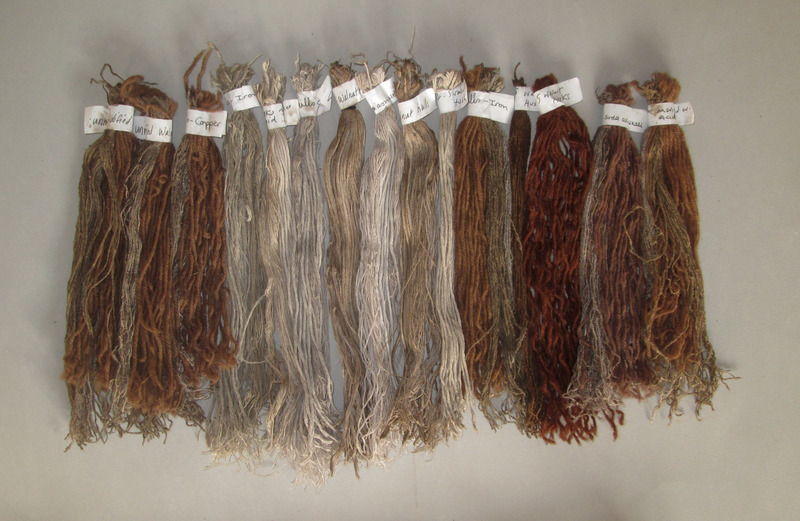 The samples of wool, silk, cotton and linen, dyed with walnut hulls and modified.